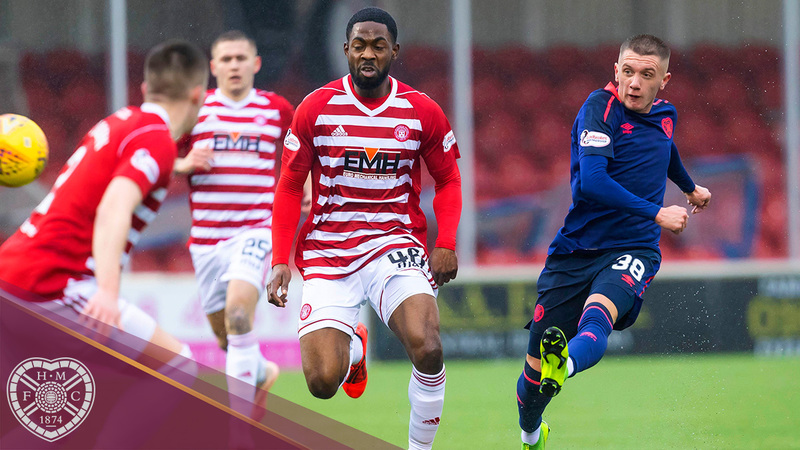 Hearts fell to a 1-0 defeat at a wintry Hope CBD Stadium in Hamilton today as the home side earned all three points. 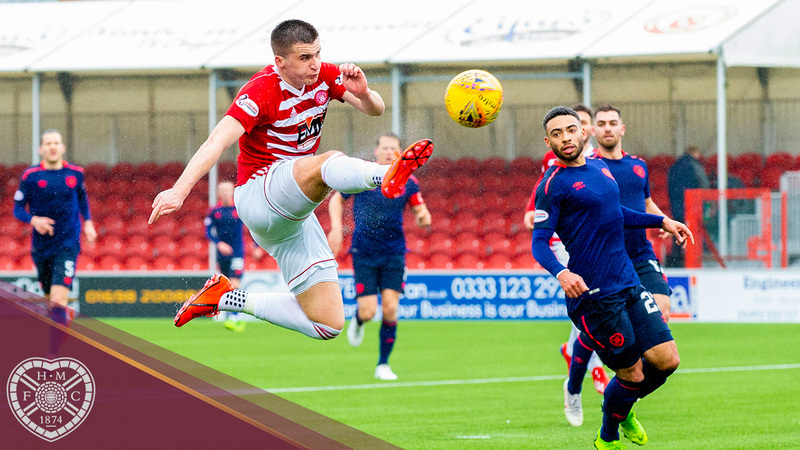 A first half goal from Aaron McGowan gave the hosts their victory as the Jambos lost to Hamilton for the first time this season. Craig Levein had made four changes to the side that earned passage to the Scottish Cup Semi-Finals on Tuesday, with David Vanecek, Jamie Brandon, Peter Haring and Callumn Morrison coming into the side. Hamilton had the first opportunity of the game after 18 minutes when full back McGowan lofted a ball over the top for Mickael Miller to run onto, but the striker’s attempted chip went over the bar. Hearts went straight up the park through Morrison, but the winger’s curling effort from outside the box went just past the post. The Jambos were starting to see more of the ball at this point, without creating any clear cut chances, but they were stung by a sucker punch. Miller drilled a ball to the back post area, where the onrushing McGowan did superbly to steer a volley into the corner beyond Zlamal with a first time effort. They almost doubled their lead moments later, but Darian Mackinnon hammered the ball over after being set up by Tony Andreu at the edge of the box. Hearts tried to respond from a set piece that broke to Morrison, whose low effort was well controlled by Vanecek, who spun and fired at goal but his shot bounced back off the bar and out to Arnaud Djoum, whose header was cleared off the line. The manager replaced Vanecek with Uche Ikpeazu at the interval, and Aidan Keena replaced Jake Mulraney ten minutes later as he attempted to switch things up, but Accies came close after the second sub when an Alex Gogic header went just wide. Craig Wighton then entered the fray in place of Brandon, as the visitors attempted another formational change. He soon played in a super ball that just evaded Ikpeazu, before Ikpeazu then found Keena at the back post but the youngster volleyed over. Morrison then found Ikpeazu at the back post, but the striker slightly misread the ball and headed over with Christophe Berra steaming in at the back post, perhaps in a better position. 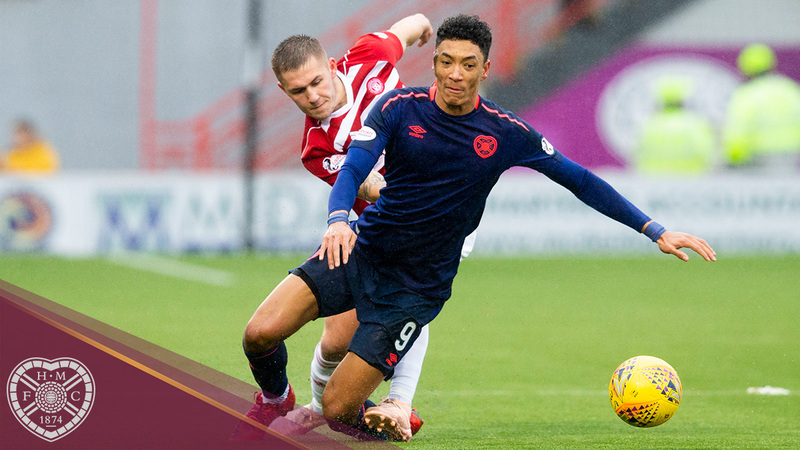 The Jambos kept trying with the hosts content to play on the break, but failed to make the breakthrough as the game concluded. Hamilton: Woods, McGowan, Gordon, Kilgallon, Oakley (McMillan, 70'), Miller, Gogic, MacKinnon, Andreu (Tshiembe, 78'), Martin (Imrie, 90'), Sowah. Subs: Fulton, Mimaugh, Smith, Boyd. Hearts: Zlamal, Souttar, Haring, Berra, Clare, Djoum, Garuccio, Mulraney (Keena, 55'), Brandon (Wighton, 65'), Vanecek (Ikpeazu, 46'), Morrison. Subs: Doyle, Bozanic, Cochrane, Dikamona.